Today’s guest is Tam from Sew Dang Cute Crafts! Tam is an excellent seamstress and decorator. You have to check out this guest room reveal, I love the colors. And this wreath is gorgeous! I also love her posts about running races and doing triathlons! So inspiring! I fell in love with this skirt from Charlotte Russe: However, it was a little too short for my taste. I figured I could make one myself, so I did. I know I don’t quite have the legs of the 5’11” model. I’m stuck with my 5’2″ legs and a crappy camera, but I’m still happy with how the skirt turned out. Do you want to make one for yourself, as well? * All seams allowances 5/8″ unless otherwise noted. 1. Measure where you want the top of your skirt to rest. I like mine on my hips, so I measured there, which happened to be 31″. Then I grabbed one of my favorite skirts, and measured the bottom. It happened to be 50″, so that’s what I decided to go with. You’ll also need to measure how long you want the skirt. I wanted mine 22″. 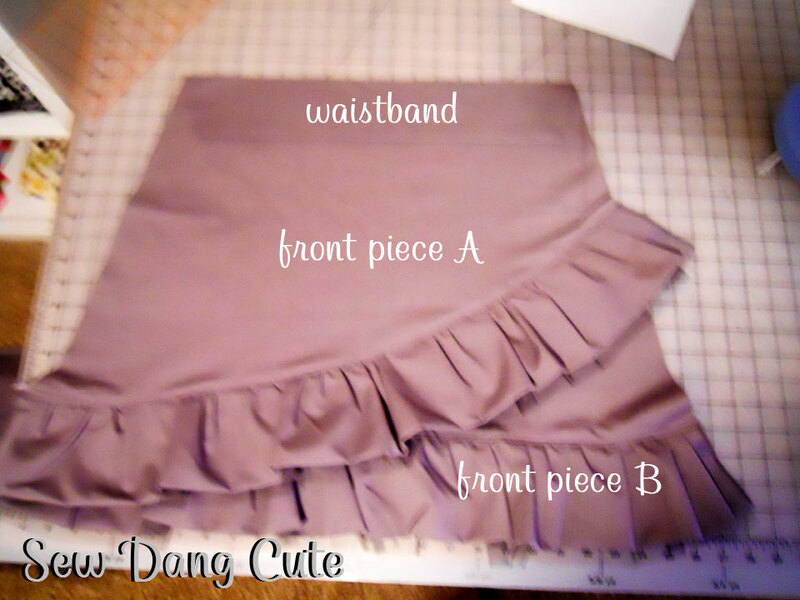 * Cut the skirt pieces first, then the waistband, then the ruffle pieces. 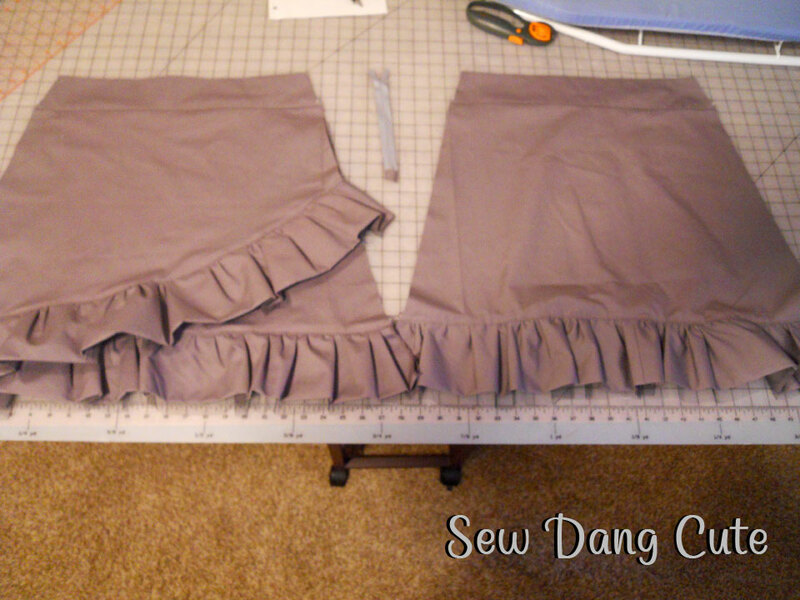 For my third ruffle piece, I had to sew two pieces of fabric together to get a 9 1/4″ x 44″ strip. 3. Take the 2 waistband pieces and press each one WST (wrong sides together) lengthwise. 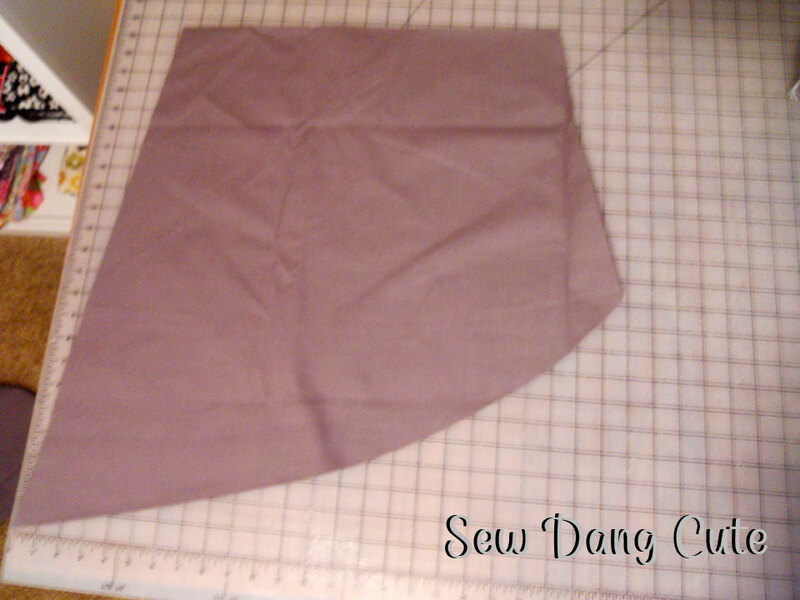 Lay both pieces on top of each other with the folded edge along the 2 1/2″ line on a cutting mat. 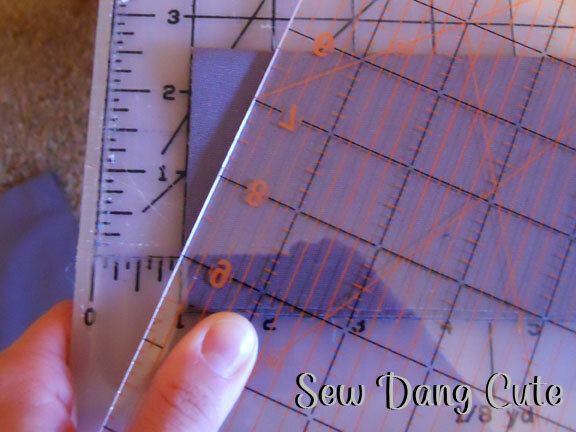 Angle a ruler down 1″ to the 0″ line on the cutting mat and cut. Set aside. 4. Lay 3 skirt pieces on top of each other. Take your waistband cut measurement and skirt cut measurement and subtract them from each other. (Ex: mine was 26 1/4″ – 17 3/4″, see step 2 above.) Then divide that number by 2. I ended up with 4 1 /4″, so I’m going to mark 4 1/4″ in from each side of my skirt with a pin. 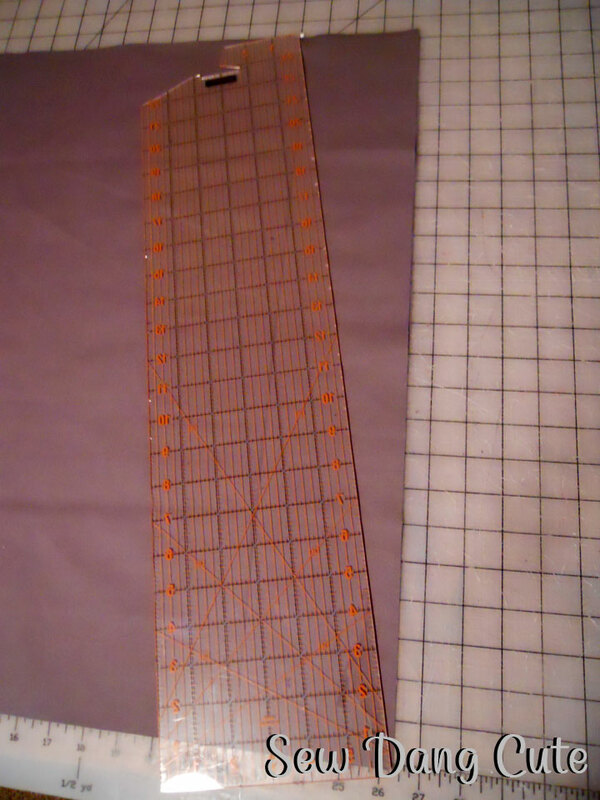 Then angle the ruler from each pin down to the bottom and cut. This will leave me with my skirt pieces so the top edges measure 17 3/4″ and the bottom edges are 26 1/4″, and the are 16 3/4″ tall. Use your measurements accordingly. 5. 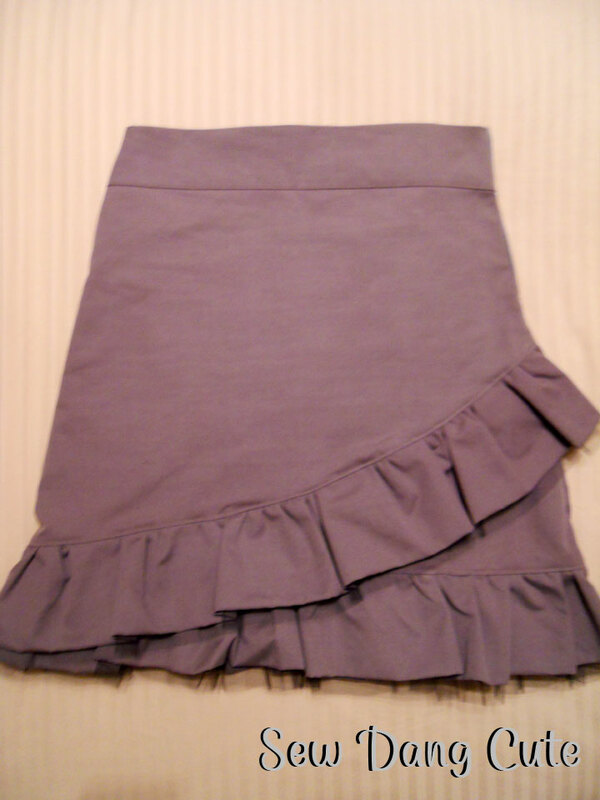 Take one of your skirt pieces and draw the angle you want your ruffle to go on the skirt front. Then cut along the drawn line. This piece will now be front piece A. 6. Press fabric ruffle strips WST lengthwise. Lay strip of tulle on top of one of the ruffle pieces and a piece of upholstery thread just along the raw edges. Sew a zig-zag stitch over the upholstery thread. This is my favorite way to gather, but if you would rather, you can simply sew a gathering stitch instead. Repeat on the other two ruffle pieces. 7. 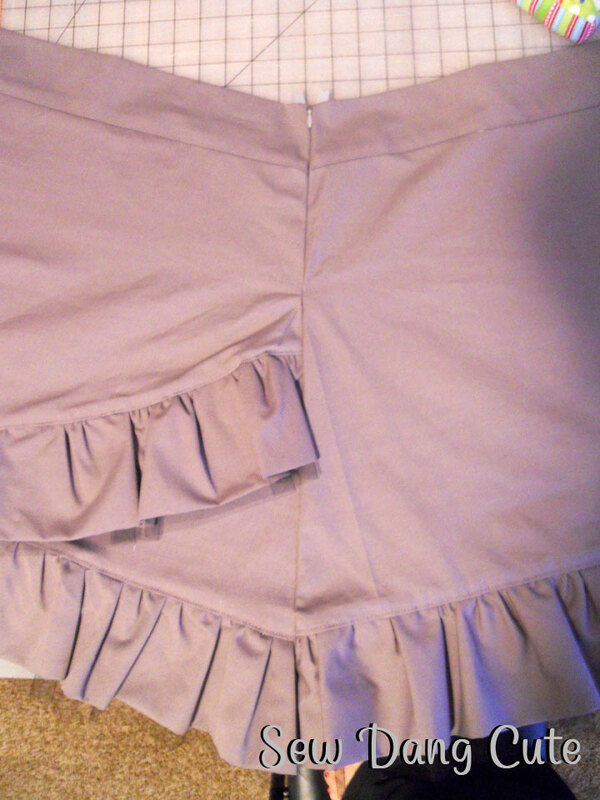 Then I like to divide my ruffle into fourths and mark with pins, then do the same with my skirt. Gather each strip. If you used upholstery thread, you can simply slide the fabric along the upholstery thread to gather. Super quick and you don’t risk breaking a gathering thread! Once all three strips are gathered, you can pin RST (right sides together) along the bottom edges of all three skirt pieces. 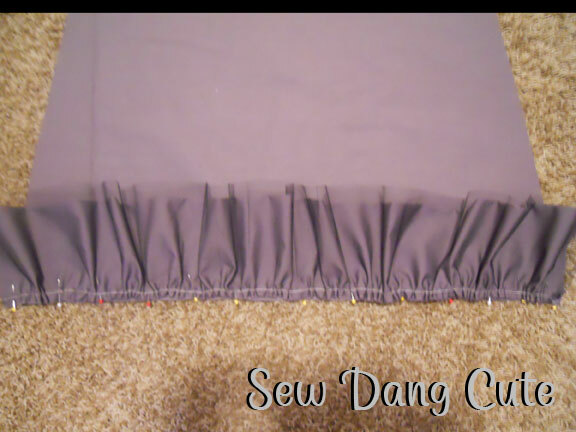 If you used pins to divide the pieces into fourths, match those pins up on each ruffle/skirt, then distribute the gathers evenly and pin frequently. 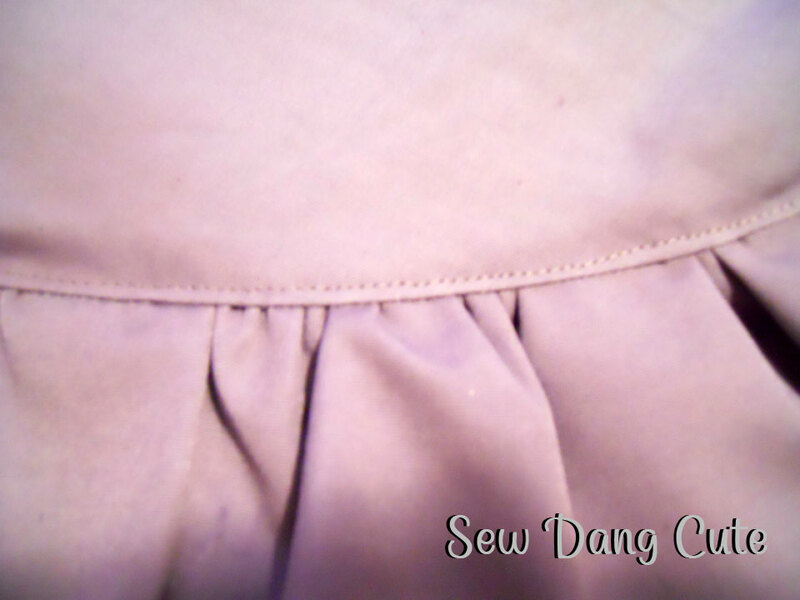 Stitch together and finish seam with either a serger or zig-zag stitch. Press and topstitch. Repeat with all three skirt pieces. 8. Next let’s sew our waistband pieces to our skirt pieces. Layer skirt front piece B on the bottom, then skirt front piece A, then one of the waistband pieces, lining up all the raw edges. Stitch, finish seam, press, and topstitch. Repeat with the back piece. You should now have two pieces: the front and the back of your skirt. 9. 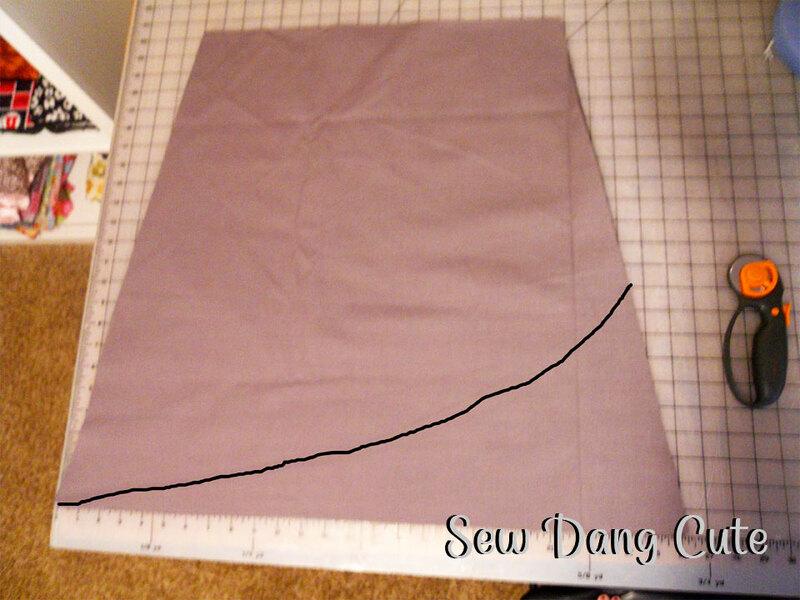 For the invisible zipper, I used this tutorial to shorten mine to 7″, then this tutorial for actually sewing it. After following those, I was to this point. I sewed the other side seam together. Serged and pressed, and my skirt was finished! I love it! I especially love the little bit of character the tulle adds to it!!! Thanks Tam, I love it! Also check out this leather ruffle bag tutorial and all of Tam’s other tutorials! 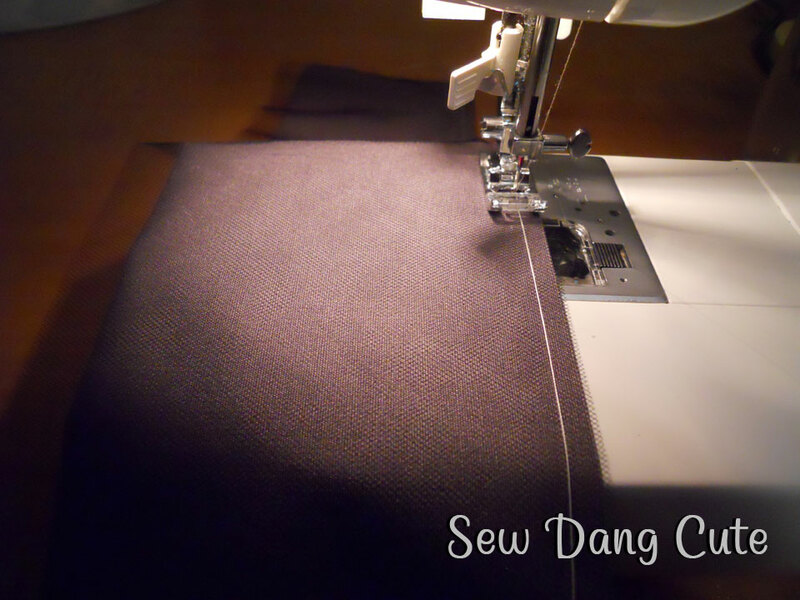 Also connect with Sew Dang Cute on Facebook, Twitter and Pinterest. I really like that skirt. I’ve never made myself any clothes before (I’ve made things for other people, just not for myself), but this might have to be my first project! P.S. I’m pinning this. Tam this is so cute! Thanks for sharing! You did an absolutely wonderful job adapting this! Bravo! The skirt is lovely. I already have it on my list of projects. the turoral is great. so easy to follow. Thank you for sharing a tutorial/pattern for a skirt for someone who is 5’2″! I am the same height and never know if patterns are going to fit me right. After seeing how cute it is on you, I can’t wait to try to make one (after I finish my envelope clutch, of course!). Thanks Tam!